Christmas is soon upon us and I wanted to take a moment to wish all of you a merry Christmas holiday and a happy and healthy New Year! For me, Christmas is all about family. 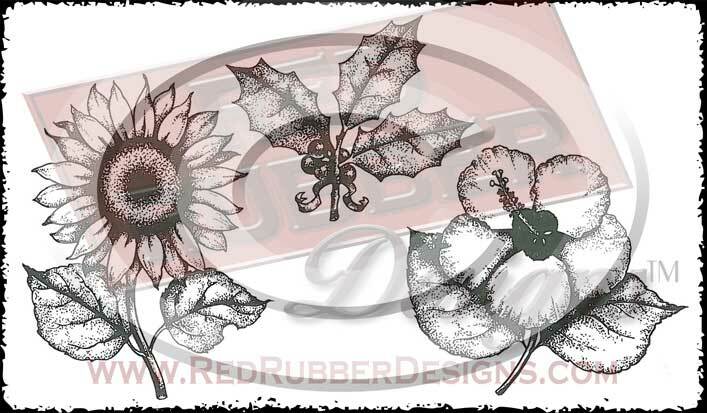 For Red Rubber Designs, the end of the year is all about inventory! 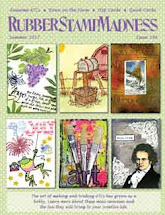 While I won't shut down our online store - you can still shop for our high-quality rubber stamps and other crafting supplies - I am going to stop shipping for a time. Here's the deal: All orders placed after Tuesday, December 25th will NOT ship until Wednesday, January 9th. Because of this, Red Rubber Designs will not charge your credit card until your order ships. Shipping and normal business will resume on January 9th. This schedule enables me to spend the holidays with my family and complete my year-end business of inventory, etc. 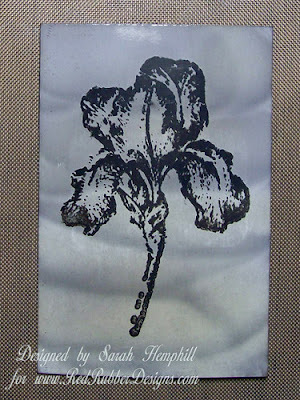 Our theme this month is Floral Design and besides our Featured Stamps, I add new stamps in the store every week. 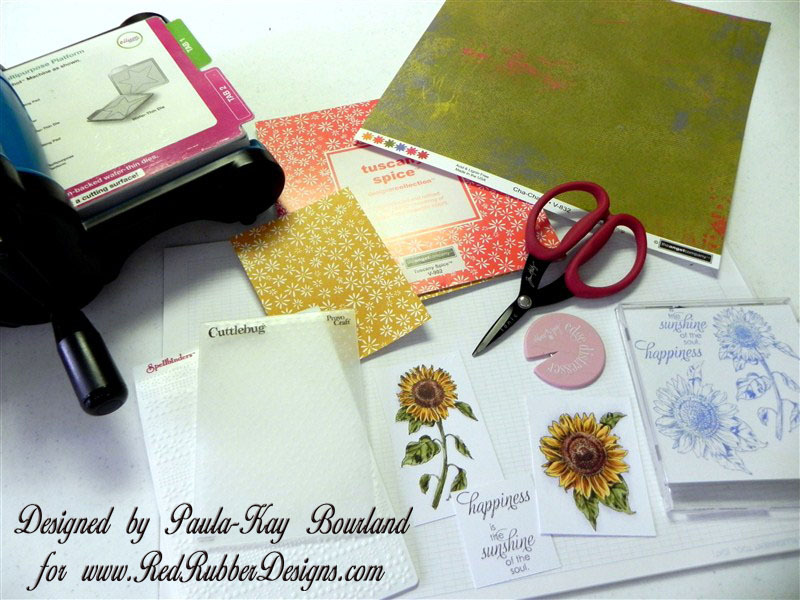 Be sure to check out our Design Team blogs to see what they're doing with our beautiful floral stamps this month! You can find their blog links in the right side bar. Don't forget about our Big Deal this month: 40% OFF all Palette Ink Pads. I love Palette Ink! This all-purpose hybrid ink has the archival qualities of pigment, dries quickly like dye and works great on all surfaces. Palettes are my go-to ink pads for most of my projects. Finally, a quick note about our January First Thursday.... Because normal business at Red Rubber Designs won't resume until January 9th, our January First Thursday is delayed until the second Thursday of the month, the 10th. Join us then! I hope that this holiday creates many wonderful memories for you and yours and that the New Year brings you much happiness in all you do! 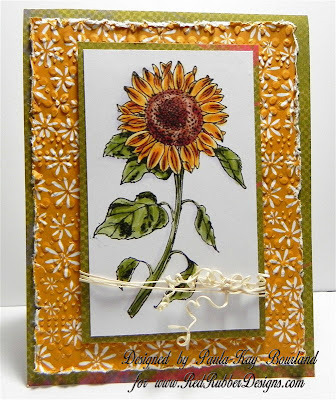 Using fabric on cards and other paper crafting projects adds texture as well as interest to the project. 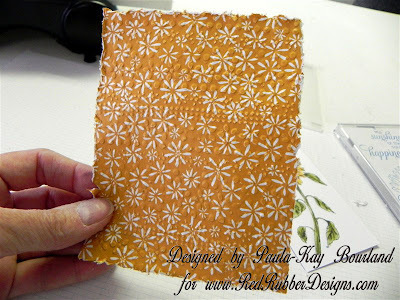 I want to show you how to make faux fabric with paper. 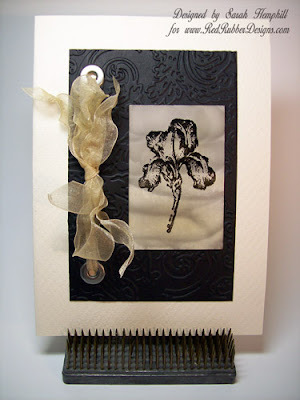 This technique can be used with a stamped image that will be the focal point of the project or with patterned cardstock that will be the background of the project. Let’s look at it both ways. I chose a new RRD stamp release called Sunshine for my project. After stamping and coloring it, I placed it in a Spellbinders M-Bossabilities folder and ran it through the Big Shot to emboss it. The next step is to rough up the edges of the embossed, stamped image with an Edge Distresser or the edge of a pair of scissors. It doesn’t matter if the edge tears slightly or rolls forward. This gives it more of a look of fabric. When you finish, it should have a faux fabric look – as if the image were on fabric. Now the card or crafting project can be completed as desired. Here is my completed card. 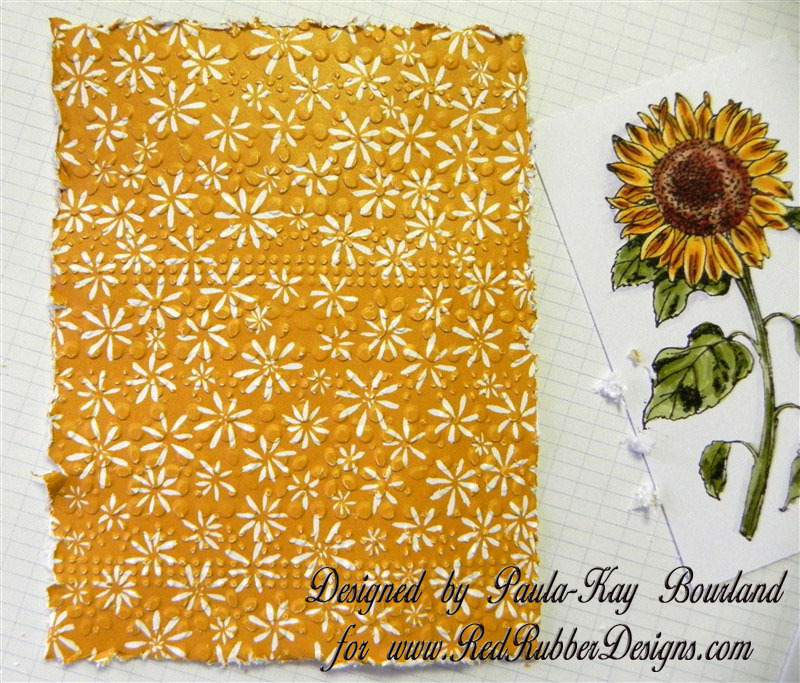 Now let’s look at a card with the background patterned cardstock/paper made into faux fabric. I have used a piece of paper from the Tuscany Spice Paper Stack. I embossed it twice – once using a Cuttlebug Swiss Dots embossing folder, and then through the same Spellbinders M-Bossabilities folder used above. Rough up the edges with an Edge Distgresser or scissors, as before. Don’t you think it has a fabric look to it? Finish the project. 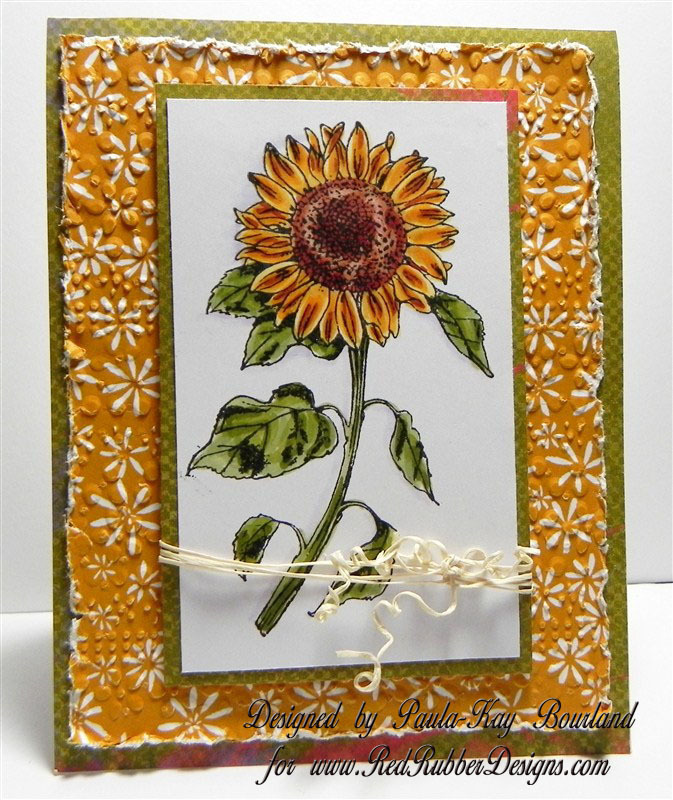 I made a card using the faux fabric piece as the background and another stamped and colored image from Sunshine. Stamps – Sunshine, Tuscany Spice Paper Stack, Cha Cha Patterned cardstock, Memento Tuxedo Black ink pad, Copic Markers (YG91, YG93, YG93, YG95, YG97, YR21, YR23, YR24, Y38, E13, E15, E19, E07,BV00), Scrappers Spool (Tawny). Thank you for looking at this tutorial. 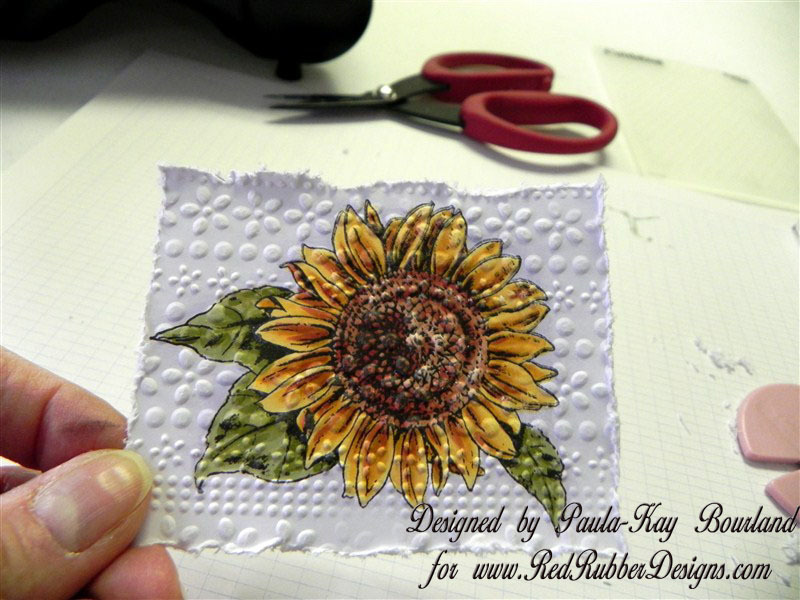 You may download a FREE PDF of the tutorial at the Red Rubber Designs store. Come again for Tutorial Tuesday. Are you in a holiday rush? Take a moment for yourself. Grab a refreshing beverage, sit down, breathe deeply and think Spring. 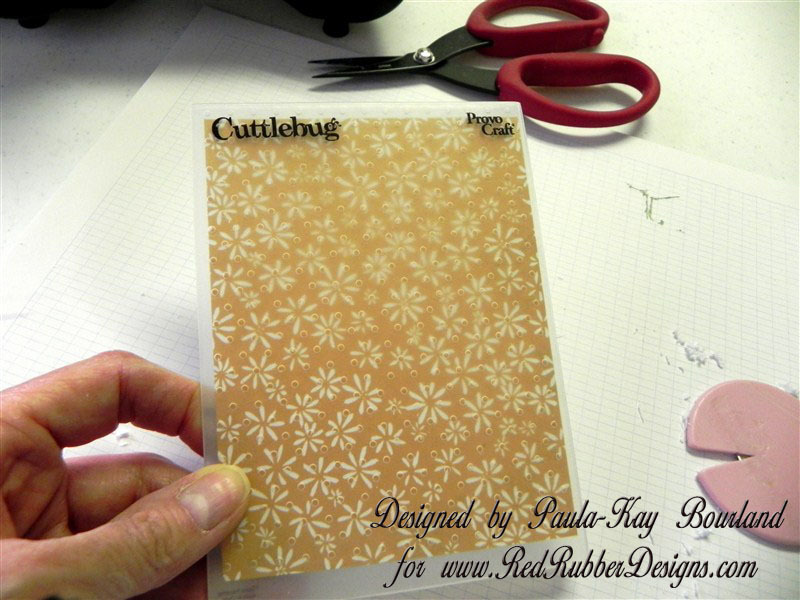 This month our theme is "Floral Design" and we're offering beautiful floral stamps that hint of the arrival of Spring. 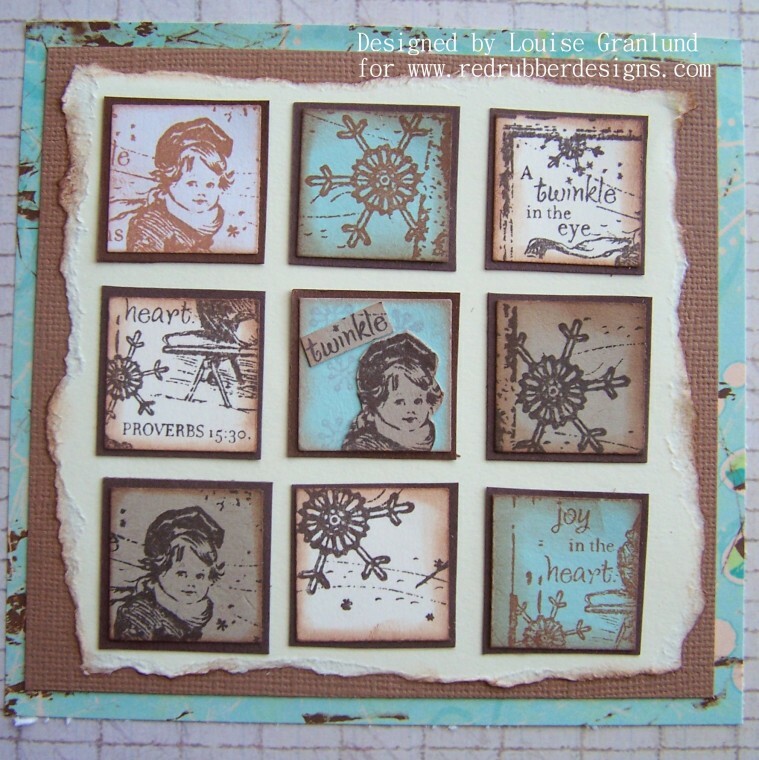 Our Spotlight Stamp set is "Flowers and Holly". We are offering you a chance to win the Spotlight Stamp Set by simply playing along with our monthly game. 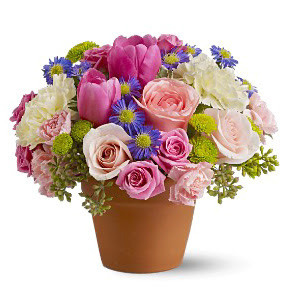 The game this month is to guess the number of flowers in the floral arrangement that you see below. I know that only one side is visible but you are to give your best guesstimate as to how many flowers are in the entire arrangement. Easy way to win some cool rubbah, right! 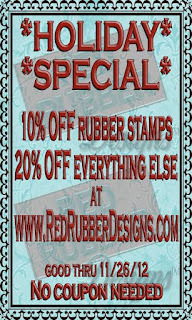 Please send your guesstimate to contest@RedRubberDesigns.com. One winner will be chosen from the correct answers. 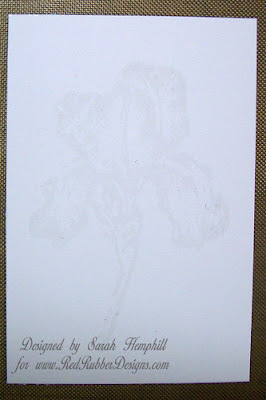 If there is no correct guess, the person who comes the closest will receive the Spotlight Stamp set "Flowers and Holly". In case of a tie, a random draw will take place between those tied. Contest ends Sunday, December 9 at midnight CST. 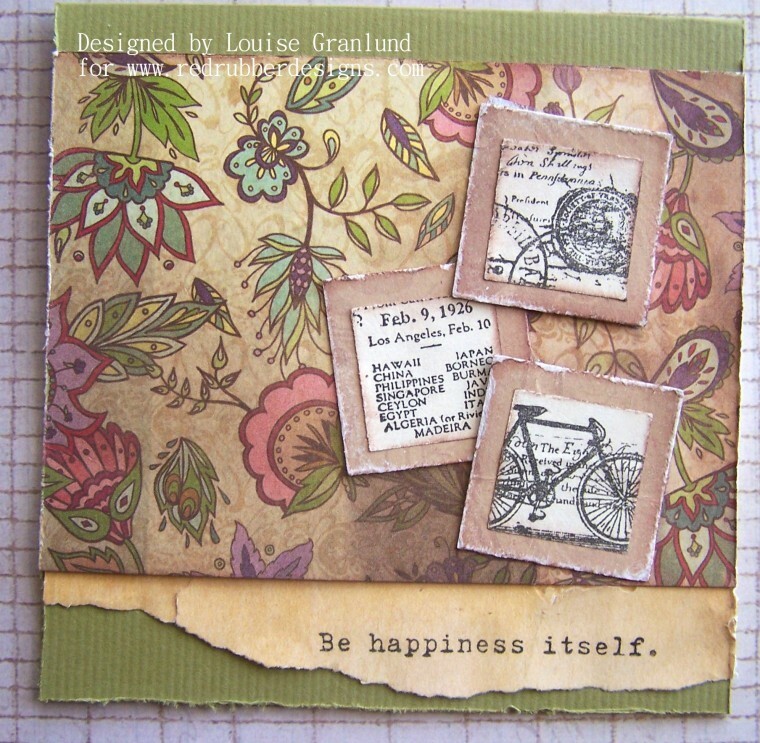 The Design Team has some lovely creations to share with you today. Enjoy and be sure to leave some love. 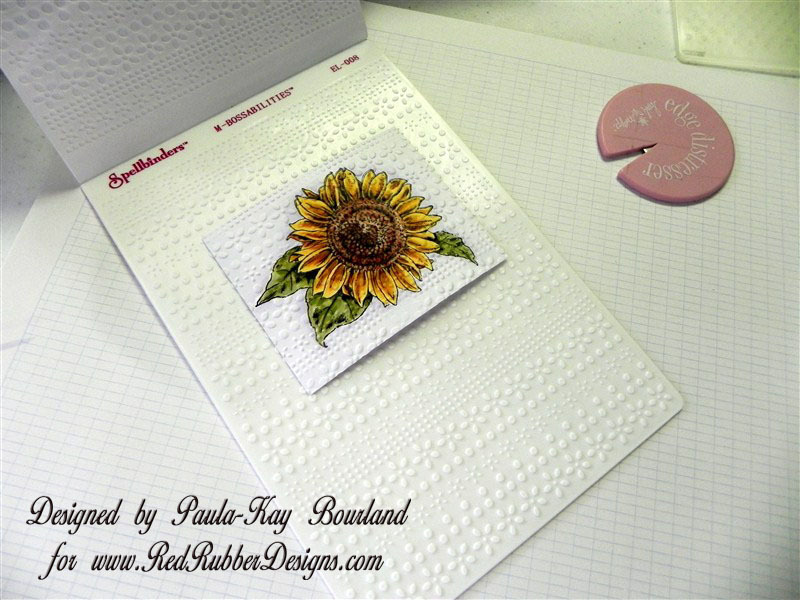 Creating with little works of stamped art which are only one inch by one inch can be fun and add a new dimension to card creating or other crafting. No need to be intimidated by creating such mini works of art as you'll see from this tutorial. I'll focus on creating two types of "inchies" here. 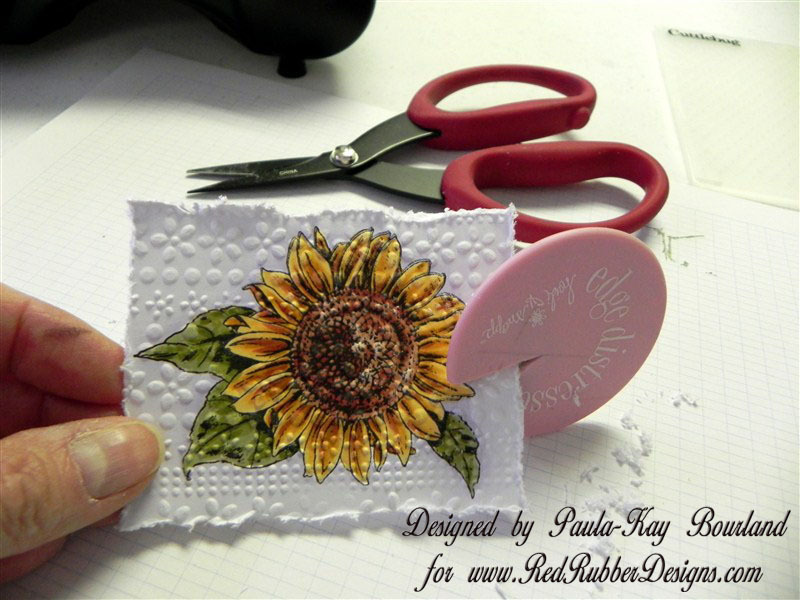 The first one is going to show you how to create your own inchie art by adding elements to a 1x1 inch square. 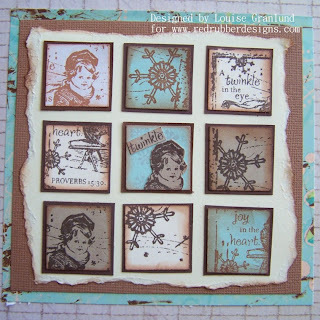 Later I'll demonstrate how to have fun just punching 1x1-inch squares from stamped work. 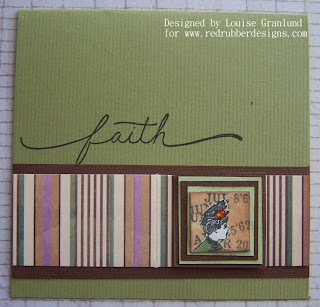 My first card shows an inchie as a focal point. 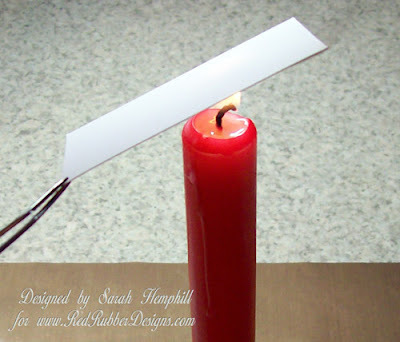 It's easy to use this tiny work of art and build a whole card around it as you see here. 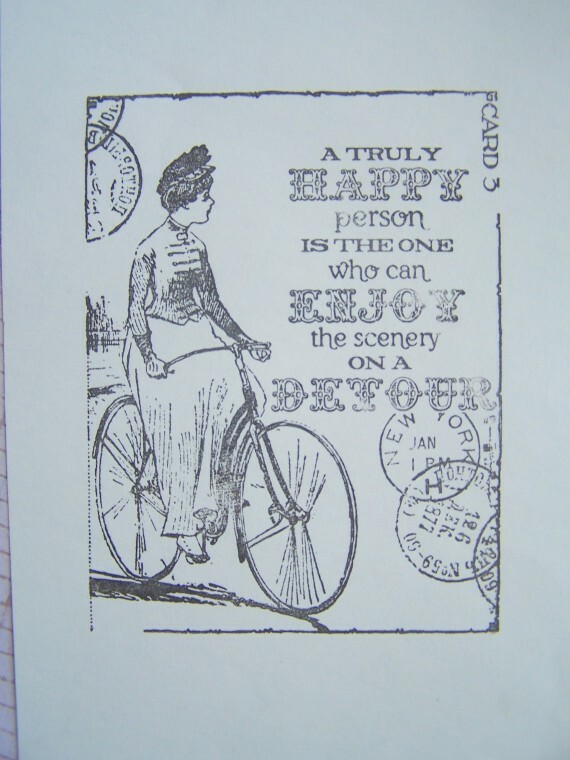 To create this inchie I'm using two stamps from the Red Rubber Designs line: Fanciful Vintage and Enjoy the Scenery.﻿ A one-inch punch is not a necessity, but makes this a lot easier. 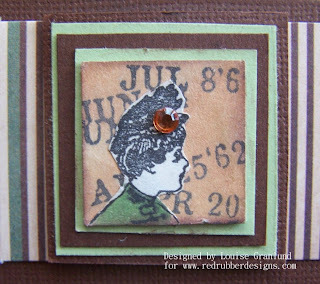 After I've stamped out both my stamps, I punch a one-inch square from my dates stamp to create a background canvas. I've added some ink to color the background. 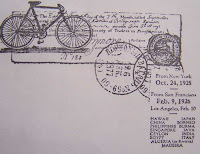 I then cut out the image of the face from the stamp below and color it as well. After adding the female face to my inchie background, I attached a small faux rhinestone. 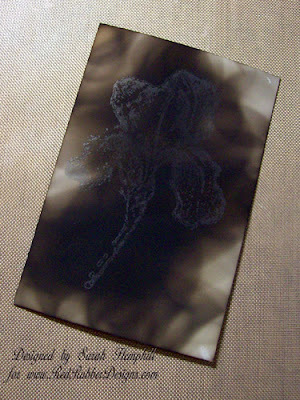 I then back the inchie with several layers of cardstock and I've created my first piece of inchie art! 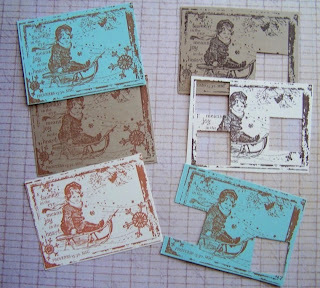 Anothe fun way to create inchie art is to simply punch one-inch squares from your stamped images. 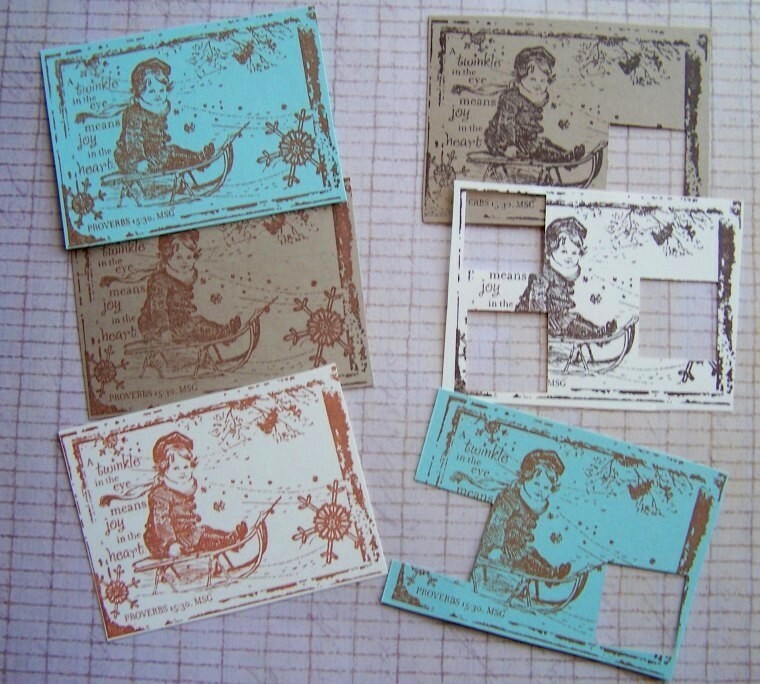 The fun with this method is it causes you to look at your stamps in a different way, finding specific parts of the stamp you like and that would work well on a small canvas. 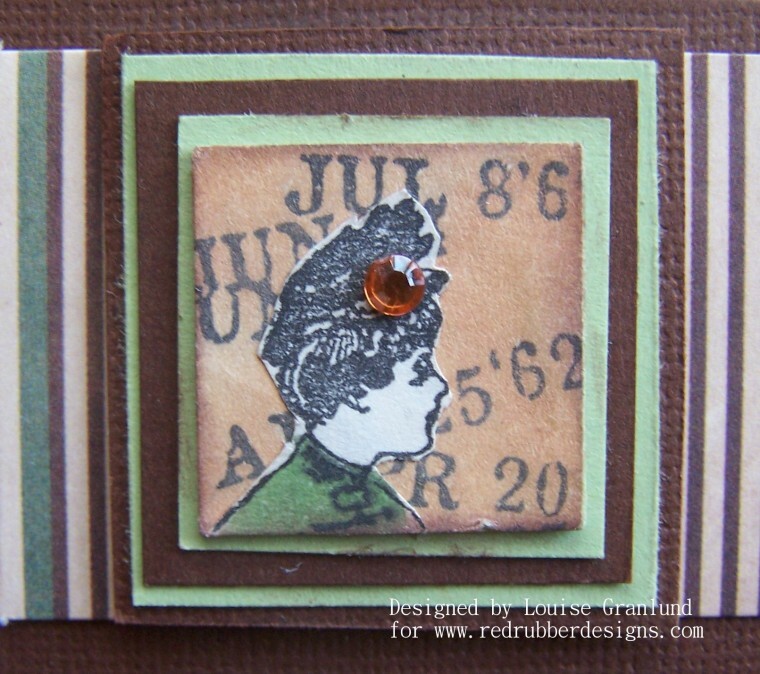 Below is one of my favorite collage stamps, Fly Fairy. 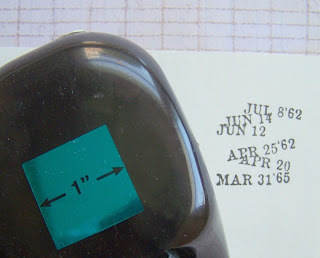 I easily see that I can punch out different parts of this stamp to create 1x1 pieces. After punching three separate pieces, I backed them with some larger cardstock and then attached them to my card. I added a sentiment at the bottom to complete this simple card. It couldn't be much easier! 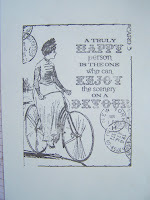 Finally, although a little more involved, the project below involves using both creating inchies and well as simple stamped inchies. 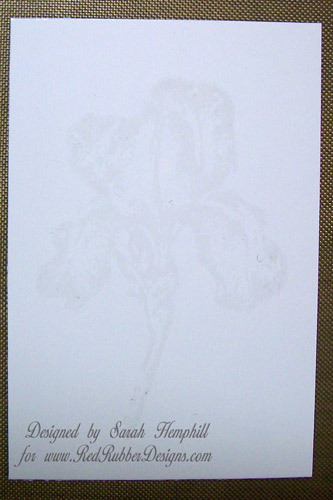 I started by stamping the image Twinkle in Your Eye three times on three different colors of cardstock. 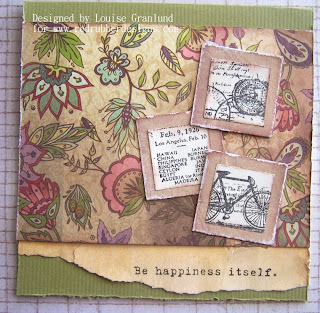 For the grid card below I created an inchie from an image and word using the Twinkle stamp. You'll see this one in the middle of my grid. 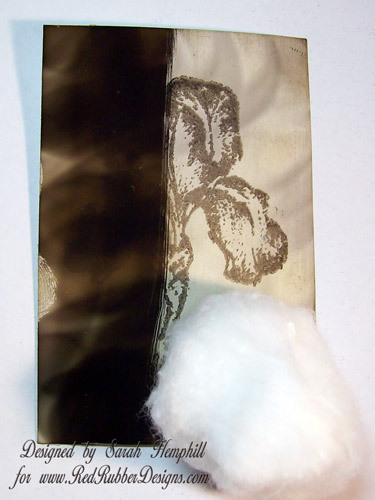 The remaining inches were punched from the different colors of paper. 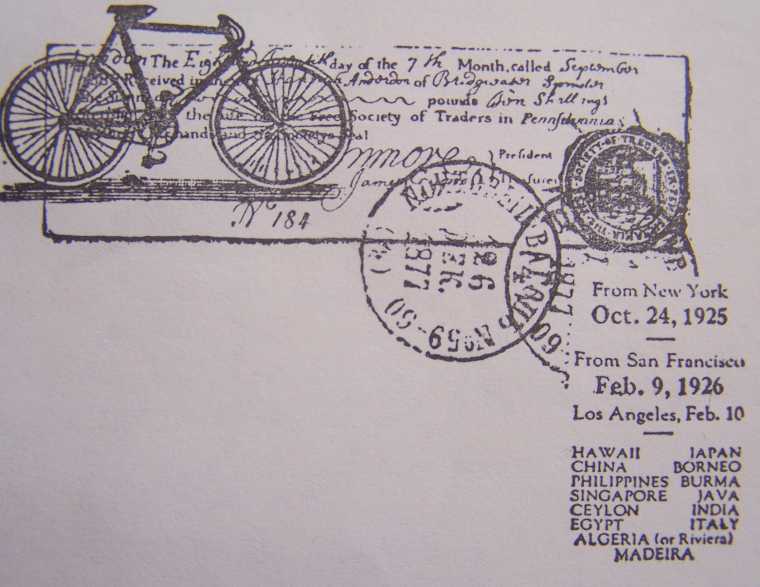 Notice how you can find a variety of different images to punch as you look closely at a stamp. 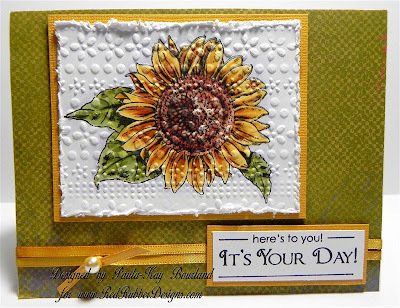 I then arranged my inchies on a cream colored piece of cardstock to create this card which looks a lot more difficult than it actually was! Greetings! I hope all of our American friends had a wonderful Thanksgiving holiday! Also, make sure that you LIKE our Facebook page, because we're having FLASH DEALS* all weekend long, through Monday! The more LIKES we get, the more DEALS we'll offer! And remember our Big Deal for November - FREE SHIPPING on any order over $20! Good through December 5, 2012. * Flash Deals are limited-time sales that offer deeply discounted products. 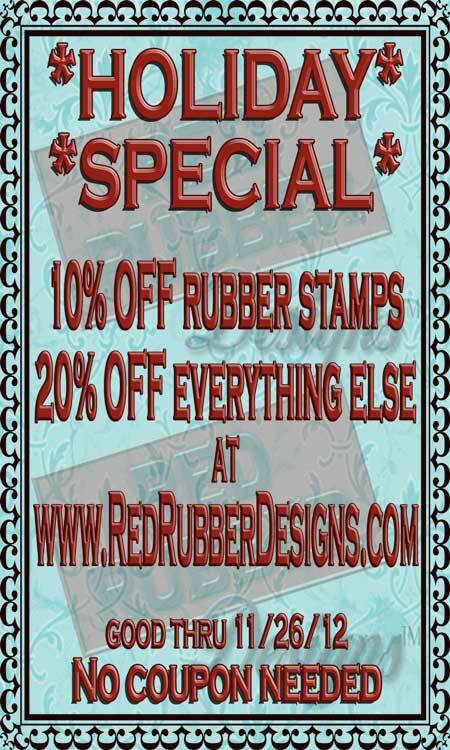 We'll be consolidating shipping after our Holiday Specials promotion is over, so if you've already ordered from Red Rubber Designs this weekend, no worries - you can order as often as you like to take advantage of our FLASH DEALS! 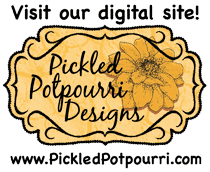 The shopping cart will charge you for shipping if any individual order is under $20, but I will remove the shipping cost(s) before I charge your credit card IF your combined purchases (through Monday) are over $20. Tutorials - Tutorials and Templates are even easier to download! I've changed them up a bit and now you no longer have to go through the ordering process to get the FREE Tutorial you want. Just one click and you're done! 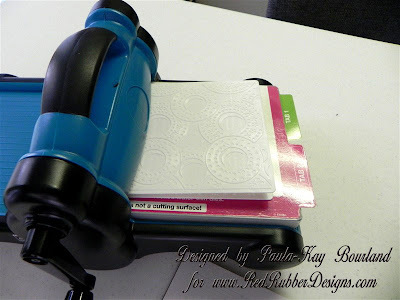 New in the Store - Our New Arrivals link has been updated to also show you the latest rubber stamps in the store. You no longer have to wait for a blog post to find out what the latest items in the store are! Red Rubber Designs Flickr Group - Have you joined our Flickr Group yet? Our Flickr group has all sorts of creative projects and beautiful inspiration using Red Rubber Designs rubber stamps, patterned paper and other products. Did you know: When you upload your project (using a current Red Rubber Designs rubber stamped image) to our Flickr group we link it to our product pages? (See the "Click here to see project examples using this stamp!" links on the stamp pages in our store.) YOUR project helps other customers see just what can be done using our rubber stamps and patterned paper! We'd love to see your art, so come join us! Enjoy your weekend and don't forget about our FLASH DEALS on our Facebook Page!